The CFO says the company is running its finances ‘literally on a day-to-day’ basis, prioritising salaries. The South African Broadcasting Corporation (SABC) was heading for factual insolvency by the end of March and hoping for emergency funding from National Treasury to be allocated within the next two weeks, said management and Communications Minister Stella Ndabeni-Abrahams said on Tuesday. “Before the end of March, there will be something,” the minister told journalists at the close of a briefing to parliament’s portfolio committee on communications. Ndabeni-Abrahams said at this stage it was not clear how much funding would be forthcoming from the National Treasury, recalling that the public broadcaster had asked for recapitalisation of R6.8 billion. That request has not been approved because the entity first needs to update its turnaround plan. 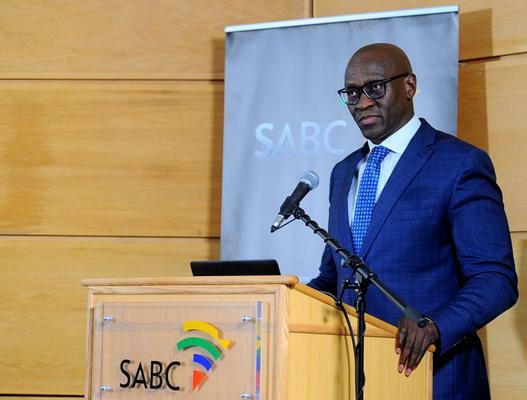 CEO Madoda Mxakwe told MPs the SABC would hit factual insolvency at the end of the month and report a net loss of R568 million for the current financial year. The loss was R281 million more than anticipated. Mxakwe said the company was suffering for “the past total disregard for process” it saw under previous management teams. The consequences of the financial crisis included content providers refusing to interact with the SABC because they have not been paid, and the company not being able to purchase the rights to air sporting events. Chief financial officer Yolande van Biljon said it also meant that the SABC had not been able to perform maintenance on its buildings and as result, sections of the roof at its Auckland Park headquarters were caving in. Van Biljon said the company was running its finances “literally on a day-to-day” basis but it had been prioritising paying salaries, which came to about R240 million a month. She said that should National Treasury avail funding by the end of the month to tide the SABC over, it would be able to pay salaries. The request was not for payroll requirements but the funding forthcoming would service debt, freeing up other cash to pay staff.